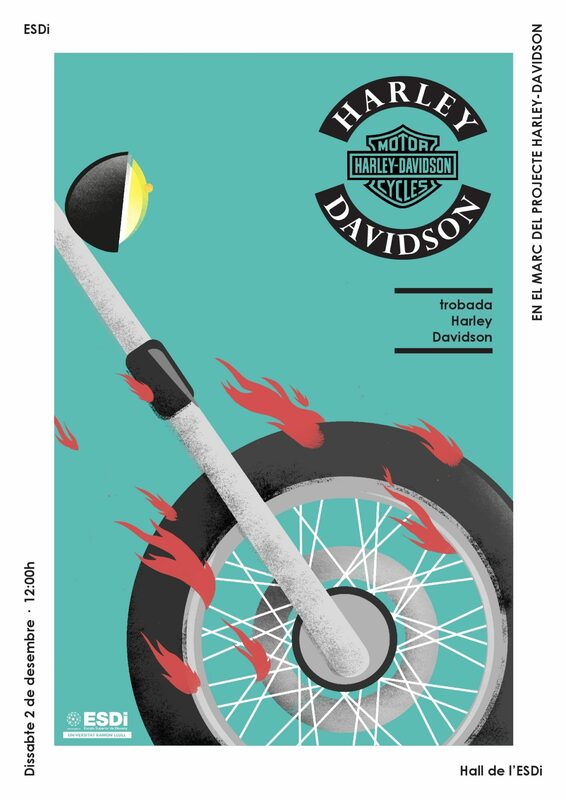 Framed within the collaboration agreement between ESDi and Harley-Davidson, the Sabadell Campus will welcome, on December 2nd, about 70 bikers from the Barcelona Chapter of the motorcycle brand, who will explain the historical, aesthetic and social aspects that define their subculture. The gathering will deepen the synergies between the school, the brand and the biker movement, thus energizing the dialog among actors, nourishing the students in their understanding of aesthetic and collective identities, and promoting Harley-Davidson’s interest in working alongside young European designers. This event is open to everyone. The ESDi Fashion Unit has been working with a multidisciplinary team composed of students from different design itineraries in the customization and redesign of a number of Harley-Davidson clothes that the company sent to the center. Other than the clothing pieces, most discontinued, the brand gave ESDi several mannequins in order to create a special exposition that will be exhibited in a specialized showroom at Montjuic during January.